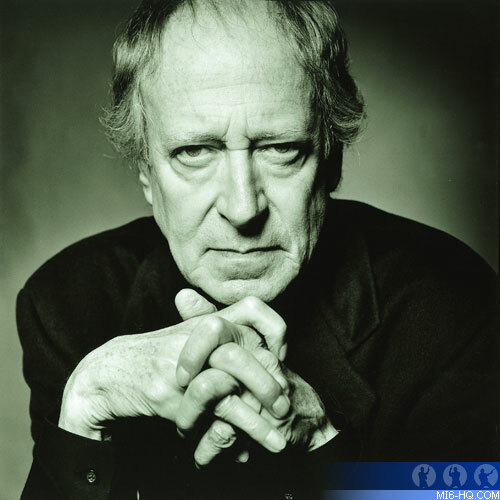 A memorial concert to celebrate the life of five time Oscar winning composer, John Barry will be held on Monday, 20th of June at 7.30 pm at The Royal Albert Hall. All profits from the concert will benefit the newly established, John Barry Scholarship for Film Composition, at the Royal College of Music, London. The Royal Philharmonic Orchestra will perform throughout the evening under the baton of conductor and RCM alumnus, Nicholas Dodd. The programme, produced by Laurie Barry and composer David Arnold, includes guest artists: Dame Shirley Bassey, Rumer and RCM alumnus Alfie Boe as well as tributes from Don Black, Sir Michael Caine, Timothy Dalton, Sir George Martin, Sir Michael Parkinson and Sir Tim Rice. The Chorus of the Royal College of Music International Opera School will also perform. The event is sponsored by The Royal College of Music through a grant by the Broccoli Foundation. One of the most celebrated film composers of his generation, John Barry scored more than one hundred and twenty five films over the course of his career. The concert will reflect his most famous and best loved compositions. Friends and fans of Barry's are welcomed to attend the concert by purchasing tickets available from 15th April from the Royal Albert Hall box office 020 7589 8212 (open 9am - 9pm) or book online at www.royalalberthall.com, See Tickets 0844 811 0051, www.gigsandtours.com, Ticketmaster 0844 844 0444. 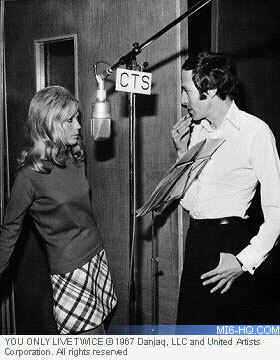 Above: Singer Nancy Sinatra and composer John Barry at CTS studios recording the theme song in 1967. The Barry family have recently established a scholarship in memory of John Barry which will be awarded, in perpetuity, to scholars studying on the Composition for Screen course at the Royal College of Music. Founded in 1882, the Royal College of Music enjoys a reputation as one of the world's leading conservatoires, providing specialised musical education and professional training at the highest international level for performers, conductors and composers within an environment which stimulates learning, innovation and research. This enables talented students from all backgrounds to develop the musical skills, knowledge, understanding and resourcefulness which will equip them to contribute significantly to musical life in this country and internationally. The College has over 700 students from more than 50 different countries; as an institution we are committed to training the best young musicians from around the world. The RCM Scholarship Fund provides financial support to the most talented students who audition for our study programmes. To make a separate donation towards The John Barry Scholarship for Film Composition, please go to www.rcm.ac.uk/johnbarry.